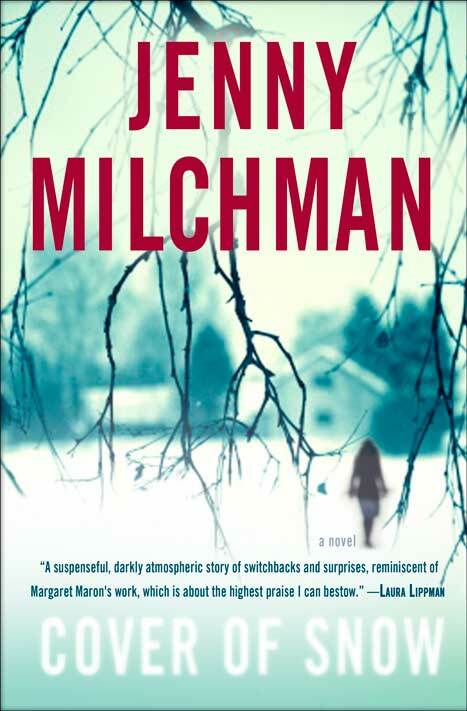 On Saturday, March 15, local author Jenny Milchman will present a “nuts and bolts” look at the publishing industry, breaking in, and sticking to a dream for over 11 years. Jenny is a suspense writer who until recently lived on the road with her family on what Shelf Awareness called “the world’s longest book tour”. She has come to settle in upstate New York. For now anyway. Jenny’s debut novel, COVER OF SNOW, was published by Ballantine/Random House in January 2013, chosen as an Indie Next and Target Pick, and recently nominated for a Mary Higgins Clark award. It earned starred reviews from Publishers Weekly and Booklist, as well as praise from the New York Times, San Francisco Journal of Books, the AP, and many other publications. Jenny’s second novel, RUIN FALLS, will be published by Ballantine in April 2014 and is available for pre-order now. Her short story The Closet was published in Ellery Queen Mystery Magazine in November 2012. Another short story, The Very Old Man, will be published by EQMM this year, and the short work Black Sun on Tupper Lake appeared in the anthology ADIRONDACK MYSTERIES II. The Maven’s meeting will be held at the Bethlehem Public Library in Delmar (451 Delaware Avenue). The meeting starts at 10:30 am, and the program will begin at 11:00 am. The program is free and open to the public.